What is the future of religion given the responses of young people? What impact do existing religious forms have on youth? What kind of spirituality and religion are young people creating for themselves? 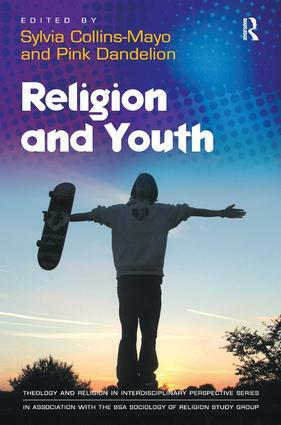 Religion and Youth presents an accessible guide to the key issues in the study of youth and religion, including methodological perspectives. It provides a key teaching text in these areas for undergraduates, and a book of rigorous scholarship for postgraduates, academics and practitioners. Offering the first comprehensive international perspective on the sociology of youth and religion, this book reveals key geographical and organisational variables as well as the complexities of the engagement between youth and religion. The book is divided into six parts organised around central themes: Generation X and their legacy; The Big Picture - surveys of belief and practice in the USA, UK and Australia; Expression - how young people construct and live out their religion and spirituality; Identity - the role of religion in shaping young people's sense of self and social belonging; Transmission - passing on the faith (or not); Researching Youth Religion - debates, issues and techniques in researching young people's religion and spirituality. James A. Beckford writes the Foreword and Linda Woodhead the Epilogue. Sylvia Collins-Mayo is one of the leading British researchers in religion and youth, she is Principal Lecturer in Sociology at Kingston University. She has contributed to numerous books and journals including 'Young People's Spirituality and the Meaning of Prayer', Religion and the Individual, Abby Day (ed.) (Ashgate, 2008), 'Raising Christian Consciousness: Creating Place', Journal of Youth and Theology (2007), and Making Sense of Generation Y, Sara Savage, Sylvia Collins-Mayo and Bob Mayo with Graham Cray (2006). She has also co-organised, with Pink Dandelion, the BSA Sociology of Religion Study Group's Annual Conference (2008) which was based on the theme of Religion and Youth. Pink Dandelion is Professor of Quaker Studies at the University of Birmingham and directs the work of the Centre for Postgraduate Quaker Studies, Woodbrooke and the University of Birmingham. He edits Quaker Studies and acts as Series Editor for the Edwin Mellen series in Quaker Studies. His books include The Quakers: a very short introduction (2008), (with Jackie Leach Scully) Good and Evil: Quaker perspectives (2007), Introduction to Quakerism (2007), The Liturgies of Quakerism (2005), The Creation of Quaker Theory (2004), the co-authored Towards Tragedy/Reclaiming Hope (2004) and The Sociological Analysis of the Theology of Quakers: the silent revolution (1996).